HomeComic Previews2000 AD Prog 1967 Out Now! 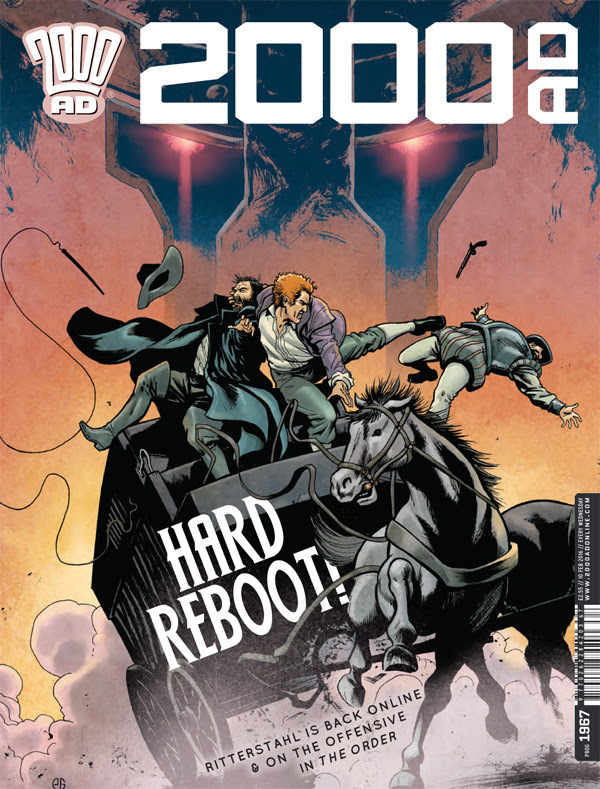 2000 AD Prog 1967 Out Now! In this edition: Judge Dredd: Ghosts by Michael Carroll, Mark Sexton, Len O’Grady, and Annie Parkhouse;Strontium Dog: Repo Men by John Wagner, Carlos Ezquerra, Simon Bowland; The Order: In the Court of the WyrmQueene by Kek-W, John Burns, Ellie De Ville; ABC Warriors: Return to Ro-Busters by Pat Mills, Clint Langley, Annie Parkhouse; andKingdom: Beast of Eden by Dan Abnett, Richard Elson, Ellie De Ville.